Lidget Compton > OUR NEWS > Company News > Free PVCu Fascias! We have an incredible new offer available. 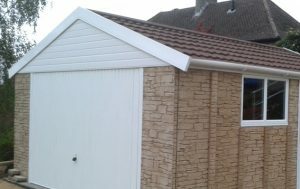 If you are in the market for a new concrete garage you can now get FREE PVCu fascias and vergeboards for your building! That’s right, buy any Lidget Compton concrete garage with standard timber fascias and you can upgrade to PVCu absolutely free*. PVCu fascias also give a smart, attractive look to a concrete garage. But this isn’t the only great offer we have available! 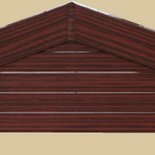 We also have a whopping 50% off our timber effect Decograin PVCu fascias and vergeboards. 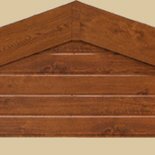 Available in stylish Golden Oak and Rosewood colour options our decograin features will really set your concrete garage apart! So if you are thinking about a new concrete garage, concrete shed or garden building make sure you talk to your local Lidget Compton agent today. They have all the details of all our current offers and are experts in Lidget Compton concrete garages. Why not use our handy Agent Finder to find your local agent! *Please note that this offer does not include our Deluxe Concrete Garage range or any Pent Mansard buildings. This is because they already come with PVCu fascias and vergeboards as standard. This offer is not available in conjunction with any buildings other than those that are supplied with timber fascias as standard.